The game of go is a strategic board game invented in China more than 2,000 years ago. It is played on a board with a grid of 19-by-19 lines. Two players take turns placing stones (one player gets white, the other black) on the intersections of the lines. The goal is to create a territory; space delimited by the stones. At the end of the game, the players count up the points (intersections) in their territory, and add any stones they have captured (you can capture stones by surrounding them). The person with the highest score wins. That was a very, very succinct description of the game of go (baduk in Korean or weiqi in Chinese). While the rules are simple, it does get more complicated than that. The game is played professionally—mostly in Japan, Korea, and China—and has developed a long tradition of strategy and tactics. Go is popular enough that Asian newspapers feature columns about the game with game records and analysis, the way western newspapers may have chess or bridge columns; some go games are even televised. Go is often compared to chess—not because the games are played in the same way, but because both games involve similar types of strategy and deep reflection. Unlike chess, however, go software has not yet reached the top levels of play. If you’re a go fan, or simply want to discover the game, you can get some go software to play on the Mac. And if you’re a serious player, your Mac—and even your iPhone or iPod touch—can be the gateway to a whole world of go. Here’s what Goban looks like. This is a famous game by one of the go legends, Shusaku, played in 1846. You can find a list of Mac go software on Sensei’s Library, a wiki about the game. Some of the programs listed are out of date, but one, Sen:te Goban lets you play against GnuGo, as well as play back games recorded in SGF, or smart game format. You can also use Goban (the name means go board) to connect to IGS, the Internet Go Server. IGS is located in Japan, and has a great deal of Asian players, many of whom don’t speak English. If you want to play on a server which is more western-oriented, you can use KGS. This server lets you play on your Mac in two ways: from its web interface, via a Java applet, or using a free program called CGoban, which is a standalone Java application that you can use to play on the server, or view or create SGF files. I said earlier that go programs have not yet bested masters the way chess software has. It’s getting closer, though. While GnuGo plays at a relatively modest strength, there are Windows programs that are much stronger. While you need to have VMware Fusion, Parallels or Boot Camp to use them, programs such as Many Faces of Go work fine in these Windows-on-Mac setups. 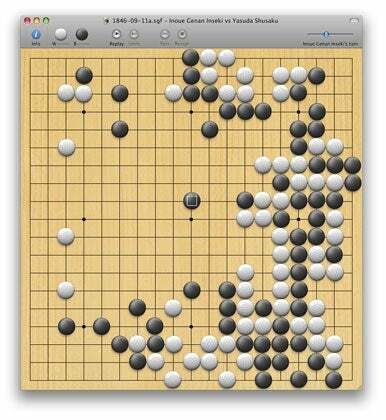 In fact, Many Faces of Go recently defeated a pro in a handicap game (go allows handicaps, by giving weaker players a number of stones on the board at the beginning of the game; in this case, the software got the handicap stones). The number of programs available to play go on the Mac is increasing, as increasing Mac sales have sparked developer interest in the platform. 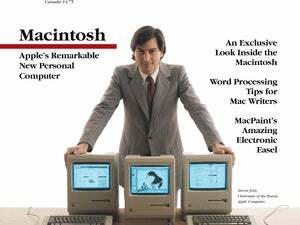 Mac versions of several Windows programs will be released in the near future. In the meantime, there’s enough for you to discover the game and start playing, both on your Mac and your iPhone. So if you want to learn an interesting, exciting, and deep game, this may be for you. Be careful though: once you get hooked, it’s hard to shake the bug.